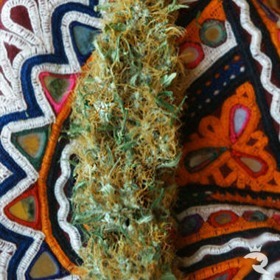 Mandala Seeds Standard | High-Powered Cannabis Seeds for Cheap! 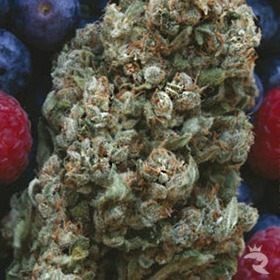 Mandala Seeds Delivers High Quality & Extreme Power at Affordable Prices! Premium cannabis seeds don't have to be expensive! Mandala Seeds has created a magic formula that delivers extreme power, high yields and easy collecting in an affordable package. If you need to get the very most for your money, check out what Mandala Seeds has to offer. Buy Exotic Mandala Seeds from The Rhino Today! This robust variety is a good choice for the novice gardener and experienced grower alike. The main flowering power is located on the central stem but also the side shoots deliver quality ”nuggets”. Every Cannabis Seed Produced by Mandala Seeds Packs a Potent Punch! Mandala Seeds doesn't just follow the crowd - they lead the way! Mandala Seeds has a well-deserved reputation as a true pioneer in both breeding techniques and seed production methods. These guys are true revolutionaries in every sense of the word! Before founding Mandala Seeds in 2004, Mike and Jasmin traveled the world for work and pleasure. In total, this pair lived and played in more than 20 different countries giving them an exceptional opportunity to collect pure landrace strains, reliable heirloom breeds and rare hybrids to create the most diverse and potent gene pool in the cannabis industry! Of course, Mandala doesn't just combine the best breeding stock in the world, propagate some amazing cannabis seeds and toss them out to their clamoring public to see what they say. 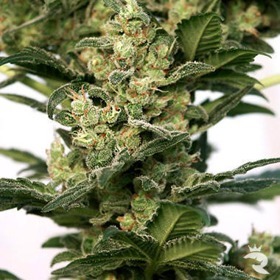 This company combines stringent quality control measures with a testing program that's just short of pure torture to create cannabis seeds that are consistently magnificent! Mandala Seeds is all about the science of high-powered cannabis seeds, but these breeders also know that great weed is supposed to be fun! If you'd like to give one of these marijuana seeds a try, you won't go wrong with their signature Mandala #1, but 8 Miles High is the one that sold the entire Rhino Team on Mandala Seeds. Order yours today! Mandala Seeds does a great job of keeping the prices on their stunning line of cannabis seeds extra low, but the Rhino goes one better! We guarantee you'll get your choice of Mandala Seeds beans at the absolute cheapest price in the UK. If not, we'll refund the difference plus a little extra to say we're sorry we screwed up. Who else does that? Get Your 100% Organic Cannabis Seeds from Mandala Seeds & The Rhino Today!